Dr. Voigt accepts the following list of insurance providers. Select your insurance provider to see more details. 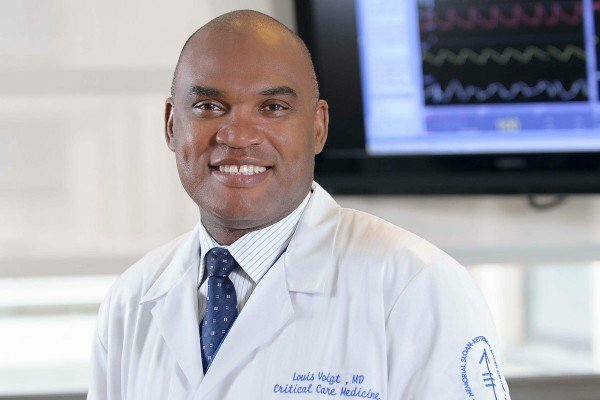 As a specialist in critical care medicine with a background in internal medicine and pulmonary diseases, my field of expertise revolves around patients with life-threatening conditions in need of close monitoring and frequent interventions. The intensive care unit is an environment in which patients and their family members may often feel overwhelmed due to the respirator and other life-support machines, the infusion pumps, the monitors, the wires, and the alarms. I am committed to helping my patients and their loved ones in these difficult moments, when emotions and feelings are intensified. In collaboration with the respiratory therapy team, I also provide weekly workshops for the residents and fellows, where they gain basic knowledge in fiberoptic bronchoscopy and mechanical ventilation through simulation technology. In addition to teaching and supervising fellows, residents, and students, I am also involved in several critical care medicine-related research projects. Visit PubMed for a full listing of Dr. Voigt’s journal articles. Pubmed is an online index of research papers and other articles from the US National Library of Medicine and the National Institutes of Health.